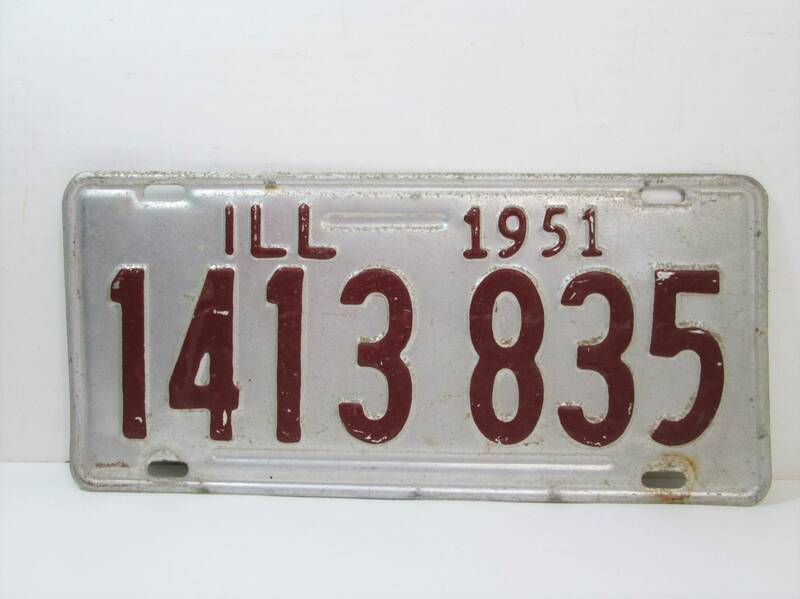 Vintage 1951 Illinois License Plate 1413 835. Silver background with red lettering. Classic vintage look with great colors!! Heavy steel construction. This vintage plate has some scratches and rust as seen in the photos.